Reliable power for very large residential or small business needs. 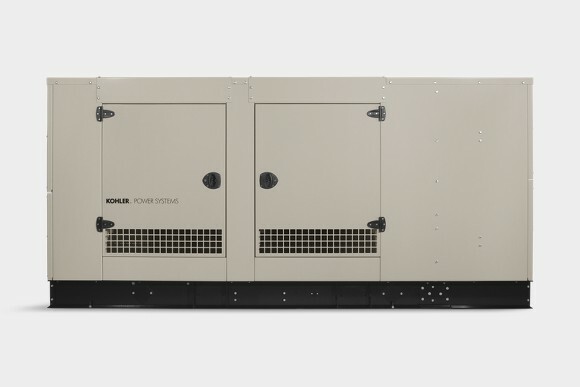 Built to weather the storms, hard-working 60/80/100 kW KOHLER® generators with industrial-grade engines keep your family comfortable and your business running when a utility failure or storm knocks out power. You get steady, high-quality power that protects sophisticated electronics from damage related to low-quality power sources. We’ve got you covered with 5-year, 2,000-hour protection. The Decision-Maker® 3000 controller with patented software is compatible with optional accessories that let you monitor your system remotely through your PC. Choose the optional corrosion-resistant aluminum enclosure or standard steel enclosure. Contact our specialists for a free quote on our Kohler generator products.